University of Texas vs. UC Berkeley can be summed up as two very similar teams running two very similar offenses. 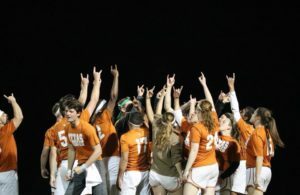 Texas has revamped their offense with keeper Luke Meissner’s shooting and sharp passing to rookie chaser Kasye Bevers. On the other side, the Golden Bears’s duo of keeper Ryan Pfenning and chaser Maddi Erdall have the same style and chemistry with years more experience. Both teams have also been buoyed by recruiting an incredible freshman beater sporting No. 11: Ivan Avalos for Cal and Jack Wang for Texas. The primary difference is that whereas Texas relies on a standard beater set, Cal primarily relies on a two-male beater rotation of Avalos, Connor Hughes and Ardin Lo. While the Longhorns’ starting chasers returned for a dominant A&M Classic performance where they beat Texas Cavalry out of range and played in range with Texas Hill Country Heat, Cal’s near-full lineup will be seen for the first time at this tournament. When Texas has the quaffle: Look for the matchup between freshman beaters Avalos and Wang. This matchup will determine whether the Texas offense gets the penetration needed to force Cal’s Pfenning to choose between guarding Meissner’s shot or putting a spy on Bevers by the hoops. When Cal has the quaffle: Look for the matchup between Bevers and Erdall. Erdall is Pfenning’s favorite target and he has not shied away from passing to her, even when Erdall covered. Erdall is putting together a case for USNT qualification,and–while Bevers has been dynamic on offense–film shows Bevers opt for a hybrid defensive chaser role between loose man coverage and hoop zone coverage. Tight coverage, however, might be necessary to shut down Cal’s primary method of attack. If Bevers or Texas’s beaters cannot guard the bullet pass to Erdall, look to Texas chasers Davis Roe and Dylan Bottoms to stop the Cal drive up top. During snitch on pitch: Texas switches to a two-male beater set during snitch on pitch, matching personnel with Cal. If the game is in-range, expect Texas beaters Tate Kay and Wang to clear a path for seeker John Anderson. Although Anderson had a subpar USQ Cup 11 season during which he was the team’s primary keeper as well, increased depth and coaching has given Anderson a broader arsenal of dive moves that has improved his seeking. Cal beaters Avalos, Hughes and Lo will need to match Kay and Wang pace for pace to avoid giving Anderson breathing room. In the quaffle game, plan to see Texas fully utilize chaser Olive Jim-Daniels’s incredible coverage skills and speed to trap the ball up top on defense. You should also see Cal test Texas’s marking of Erdall or other chasers behind the hoops. If Pfenning is called into seek, look for Cal keeper Matthew Walker to step in with a dangerous shot. Pick: Cal, in their ability to gain goals with finesse passing as opposed to raw driving, is unique among any opponent Texas has faced so far. As such, the Golden Bears will be hard to put out of range. However, Texas has the more impressive snitch-on-pitch resume. Texas seeker Anderson has been on fire this year and in four snitch-range games, Texas has only lost once—when a beater foul negated a game-winning catch by Anderson. Cal, on the other hand, has only played a single in-range game. In that game, Cal’s beaters faced Utah State University’s anemic snitch-on-pitch beating. Utah State played far too conservatively, and Pfenning was able to get a quick grab directly in front of a Utah State beater. Texas will not be so content to sit back against Cal and, with depth at keeper, Anderson no longer plays seeker tired. Prediction: Texas wins in range. 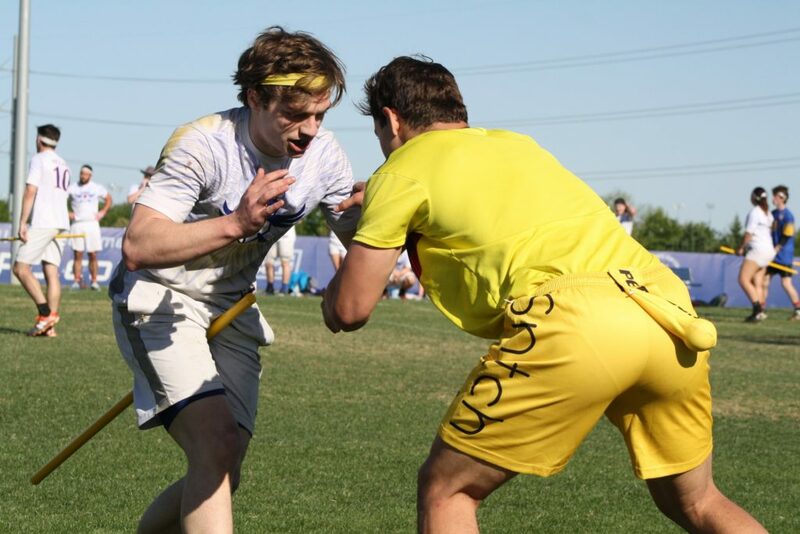 The most physical matchup between two colleges that still primarily use a traditional beater set, the interaction between Texas’s physical chaser line of Bottoms, Roe and Aidan Parsi against Kansas’s Ben Engels, Brandon Tabor, Mike Devine and Ian McCabe will be one to watch. This will be the first ever matchup between these two programs; expect a physical matchup with great passing. When Texas has the quaffle: Look for the matchup between Kansas’s male chasers against Texas’s. Rachel Heald plays the role of a strong defensive keeper for Kansas as opposed to a counter attacking keeper, excellent at stifling the drive and playing close coverage but weaker at defending the alley-oop or pass-put. Given enough penetration, the Texas offense’s bullet passing and shooting should neutralize her effectively. The key for Kansas success, then, will be their three-male chaser set whose coordination and physicality is the most experienced outside of the Southwest. Longhorn chasers Bottoms and Parsi will try to gain the upper hand over Jayhawk chasers Tabor and McCabe. If either Bottoms or Parsi is a skilled enough driver to draw a double team or get even a little penetration and space on offense, look for the bullet passes to chaser Bevers to catch Heald flat-footed. When Kansas has the quaffle: Texas will try to catch Kansas out of position. The Jayhawk attack–relying on distribution up top followed by dangerous cuts towards the hoops–often results in temporary clusters where three Kansas chasers are on one side of the field. Texas beater Kylie McBride will need to take advantage of these opportunities. On the other hand, Kansas’s chasing corps is very versatile. In addition to running Heald as ball carrier, Kansas has–on occasion–swung Heald out to wing chaser utilizing her height as a nightmare matchup for any defender. As a result, the Jayhawk offense doesn’t need a clear lane to score, just beaters that are slightly out of position. The key matchup will then be between Jayhawk beaters Ryley Andrews or Jake Simon against Longhorn beaters Kay or Wang. If Texas’s beaters can not only hold off the attack, but also hold their positioning, their chasers will be able to dominate on defense. During snitch on pitch: The biggest matchup in this part of the game may not even be between the beater sets, but rather between beater/seeker Andrews and Texas keeper/seeker Anderson. With seeker Bryan Weary missing from the Jayhawks’s roster, expect utility player Andrews to put in big minutes. Andrews is a physical seeker that can wear down other teams’ seekers. On the other side of the pitch, Anderson is a tall physical seeker excelling in body positioning,using his size to edge out other seekers while trying to get to the snitch. In the quaffle game, be on the lookout for Heald to act as a distributor with Engels, Tabor and other Kansas chasers acting to draw a double team to pass to chasers Olivia Federico or Anna Holmes by the hoops, and Texas to slow the pace of the game until driving opportunities or open chasers emerge. Prediction: Texas wins out of range. We saw this matchup at USQ Cup 11 and–while a lot has changed in terms of depth–each teams’s top players from last year have returned this season. Texas has come off to an extremely impressive start–with the aforementioned status of undefeated against colleges and even kilter with club. UCLA’s fortunes have gone the other way, with a blowout loss to Cal at the Chandra Classic. When Texas has the quaffle: While UCLA has managed to stay close with better teams like the Los Angeles Gambits, most possession changes are not caused by the Bruin defense but due to errors made by the offense. The Bruins will not be so lucky against Texas. If Longhorn beaters Kay and McBride can penetrate the offense even a little bit, expect UCLA to shift keeper Jonathan Garcia-Rovetta to play further up on the keeper zone line to prepare fora drive. This is where Texas’ skilled shooters—chasers Bottoms and Roe and keeper Meissner—will be most dangerous, between the shot or a pass to chaser Bevers, who leads her team in points scored against ranked opposition. When UCLA has the quaffle: UCLA’s most successful line–heir starting double-male beater set with former starting keeper Ryan Harris and junior Justin Van Ligten– is supplemented by Garcia-Rovetta and star chasers Christian Clarion and Elizabeth Ng who are all capable of creating their own offensive chances. UCLA’s only hope of staying with Texas is playing heavy minutes with this line; once they switch out of it, Texas’s physicality will outmatch the Bruins. Since UCLA has shown an extreme susceptibility to the fast break , keeping up with Texas’s beaters is a must for UCLA to have a chance in this game. But in UCLA’s two male beater set, Ng must absolutely be marked on defense. While Longhorn chaser Bevers can defend Ng, expect physical chaser Jim-Daniels to be a better counter for Ng’s physicality. UCLA’s only hope on the second line lies with the rocket arm of recently converted beater Ashley Gore who will need to best McBride and David Huber for any driving lanes to open up. Look for Texas’s beaters, on the other hand, to take full advantage of beater presses and other aggressive beating to force a turnover. 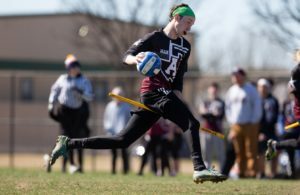 During Snitch on pitch: With the departure of their three seekers from last year, much has been made of UCLA’s missing seeker core but Ng’s rise as a seeker has alleviated many of those concerns. She has lightning quick hands and uses her length to wrap around snitches for her signature reach-around pull. Ng’s versatility as a seeker could aid UCLA’s lack of chaser physicality for snitch on pitch, adding an extra male chaser to take hits against the much larger Parsi and Bottoms. In the beating game, Harris and Van Ligten will be able to match anything Kay and Wang throw at them, as both are smaller targets with great blocking ability. 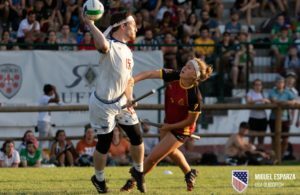 If this game is in-range, look for Texas seeker John Anderson to use his height and size to block out Ng while attacking the snitch to prevent her quick pull. Pick: Garcia-Rovetta is a physical keeper that can drive through even the best chasers, but he will have to drive through a lineup of them to score on this Longhorn defense. Ng may be the most physical non-male chaser in this matchup, but smart defense against a two-male beater set means she should be covered all the time. In the end, this Texas team is too disciplined, too deep and too physical, and UCLA has too many big weaknesses. A matchup that will put to test two very different teams., Cal utilizes a two-male beater set with keeper Ryan Pfenning, who excels in jumping in front of passes and then immediately sprinting on the counterattack. Kansas, on the other hand, largely utilizes the traditional beater set led by veteran Rachel England with keeper Heald, who excels at being physical at the ball, making last minutes strips and blocks to save points. This means that Cal and Kansas’s usual personnel are extremely mismatched, leading to interesting matchups. When Cal has the quaffle: Expect Kansas’s chaser defense to stifle Cal quickly up top, forcing Cal to add more physicality into their line. Cal might utilize their traditional beater sets more than usual, relying on rookie beater Jacquelyn Northcutt or sophomore beater Renee Serota. While neither is quite at the level of Kansas’s Rachel England, Cal keeper Pfenning’s accuracy combined with chaser Erdall’s skill behind the hoops means that Cal might only need a little bit of space in order to attack the hoops. When Kansas has the quaffle: There is no team that utilizes space quite like Kansas. The way their wing chasers can play the ball is less like a wide receiver in American football, and more ike the Raumdeuter role in soccer, playing the ball up top until the beaters are sufficiently off position before cutting in straight towards the hoops for a pass and goal. Freshman chaser Eric Shen could be the key for the Golden Bears here. Shen is a quick and physical point chaser who excels in buffering his opposition and forcing longer throws. Shen should keep the quaffle at a distance and then watch the matchup between Pfenning to jump the pass to Kansas’s wing chasers Engels or McCabe. During snitch on pitch: While Kansas has questions with their snitch-on-pitch beating, Cal has questions about their seeking. Kansas has failed to convert in-range games into wins this season, but seeker Ryley Andrews has a proven record of catching snitches in clutch moments. Cal, on the other hand, is untested. Expect Cal’s beater rotation of Hughes, Lo and Avalos to play aggressively to give their seekers more room. In the quaffle game expect fast break after fast break as each team tries to catch the other out of position and carry the game out-of-range. Pick: This is a dream matchup for the Jayhawks, who can play Heald at keeper to force Cal out of their two-male beater sets through sheer physicality. Even if Cal sticks to their two-male beater set and plays a clear-and-drive offense, and even if McMorris, England and Andrews are not at their USQ Cup 11 form, the Jayhawk chasers ability to exploit the tiniest of space will be more than enough for Kansas to keep pace. Prediction: Kansas wins in range. We’ve seen this matchup before, at the Chandra Classic where Cal put on a dominating show winning 160*-60. Cal will have a much bigger veteran presence at this tournament. Beater Hughes and seeker David Cadena, both missing from the Chandra Classic matchup, will be back at this tournament. The Golden Bears are not the only adding important pieces in this rematch, however. The return of UCLA chaser Clarion means the Bruins will be a more physical team than they showed at Chandra Classic and will most likely shift more playing time to their top line. When Cal has the quaffle: Other than Cal’s vaunted top line of veterans, look for athletic newcomers such as chasers Dara Gaeuman and AJ Morgan to provide passing options around the hoops in addition to Erdall. Cal will look to push the quaffle up the field quickly, catching the UCLA chasers off their mark with quick passes by the hoops to exploit UCLA’s weakness. When UCLA has the quaffle: The Bruins will task their beaters to create mismatches and lanes for keeper Garcia-Rovetta to drive through. In their previous matchup, Garcia-Rovetta was unable to use his elite driving skills, instead settling for mid-range shots due to high beater pressure and without any receiving options. The Bruins will undoubtedly space the ball more this time around, possibly passing it around to veteran chasers Kevin Gallagher and Sofia de la Vega to take the heavy load off Garcia-Rovetta. UCLA will also need second-line beater Phillip Tran to step up and adapt quickly against Cal’s high beater press or risk having possessions blow up at midline, leading to fastbreaks and easy goals. During snitch on pitch: If this game is in-range at 18 minutes, the Bruins can feel confident that Ng is the best seeker on the pitch. Cal will use a varied rotation of newcomers Suvam Nayak, Jesse Stephens and senior Cadena to try to provide different looks for the snitch but will need their beaters to give them as much time as possible. However, if the snitch-on-pitch game runs long, look for Cal’s beating depth to give them the edge, as UCLA only sports three capable SOP beaters. Pick: UCLA will be a more cohesive team, and Cal will not have as many fast break opportunities as they enjoyed in the Chandra Classic match. However, there is no reason to suspect, especially with Cal’s veterans returning to the spotlight, that this match will be any different. Prediction: Cal wins out of range. The two lowest seeds faceoff in a battle of teams rife with talent but without the record to show it. Neither Kansas nor UCLA has a signature win against Top-10 opposition. But this rematch of the USQ Cup 11 quarterfinals contains many of the same players. When Kansas has the quaffle: UCLA has proven to be susceptible to fastbreaks as evidenced at Chandra Classic, but this Kansas team is not the best on those drives. Kansas might be the better team at utilizing space, but with Garcia-Rovetta playing up on the keeper line more often, driving and passing lanes might be fewer. Don’t be surprised if the Jayhawks end up using keeper Ryan Dickey more often or pushing Heald wide to take advantage of Garcia-Rovetta’s positioning at the hoops. When UCLA has the quaffle: Much like Cal, Kansas may very well force UCLA out of their two-male beater set with their physicality. If that happens, look to beater Gore to clear lanes to better neutralize Garcia-Rovetta and Ng’s physical threat. If the Bruins’s offense sticks to double-male beater sets, look for Garcia-Rovetta to throw arcing passes to a cutting chaser behind hoops—Clarion or Tye Rush or freshman Michael Navarro–and watch the matchup between those chasers and the Kansas keeper. During snitch on pitch: Look for the seeker battle between Ng and Andrews. Andrews is an aggressive seeker, and Ng might be able to use that against the Jayhawks for a quick grab. Kansas’s beaters will attempt to disrupt Van Ligten and Harris to give their own seekers a better chance. Pick: Kansas’ snitch-on-pitch seeking woes are well known. The one-two punch of seekers Weary and Andrews led the Jayhawks to a league best 12-2 (+2.18) record in snitch-range games last year. This season, with Weary out with injury, the Jayhawks are 1-2. 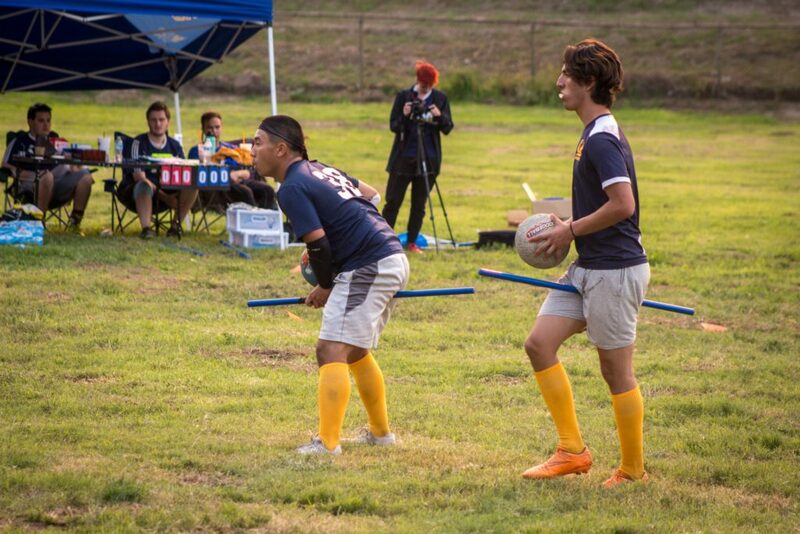 While Ng has proved to be a dangerous seeker for UCLA, and Harris and Van Ligten are capable beaters, the Bruins have not been able to finish in the seeker game, ending with a 1-3 SWIM record—with the only catch coming on a one-armed snitch. UCLA might have a better chance of winning this snitch game, but Kansas should always be threatening to pull out of range.